This extremely intimidating snail was only discovered in 2001, making it a fairly recent arrival to scientific literature. 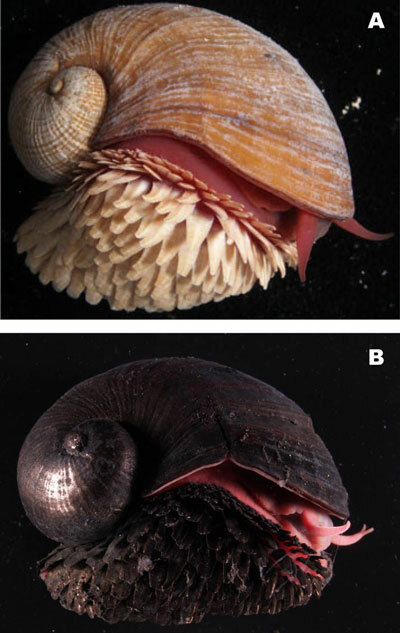 It’s known as the Scaly-foot Gastropod (Crysomallon squamiferum) and it lives on the bases of black smokers at the at the Kairei hydrothermal vent field, on the Central Indian Ridge which is about 7,940 ft below the surface of the ocean. 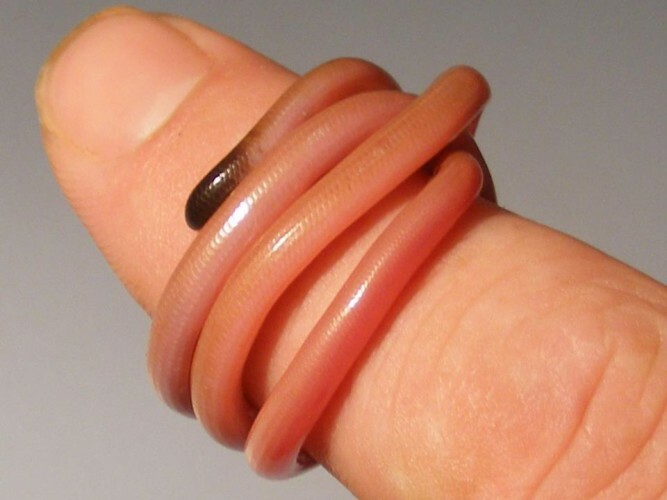 These are extremely unique creatures for a number of reasons. 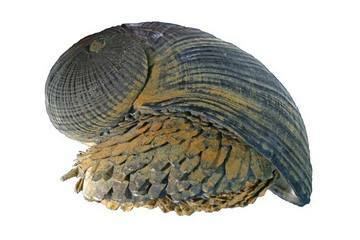 First, its name comes from the fact that the snail snail’s foot is armored with iron-mineral scales. It is protected by scale-shaped sclerites composed of the iron sulfides; and it is the only animal on Earth known to use iron sulfides in this way! 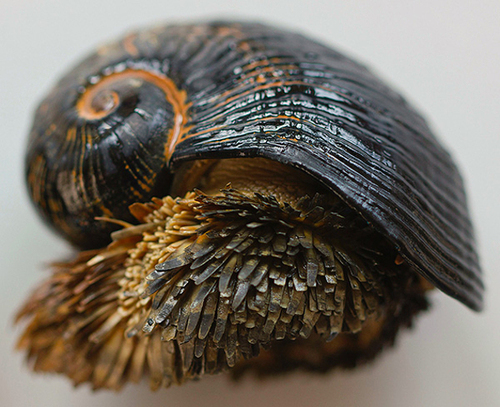 Second, the snail’s shell has an unusual architecture, being composed of three specific layers: The outer layer is made of the aforementioned iron sulfides and is around 30 μm thick. This makes this gastropod the only metazoan, known so far, to employ this material in its skeleton. he middle layer is organic, and is also the thickest of the three (about 150 μm). It is comparable to the periostracum, a thin protein coating found on other snail shells. The innermost layer is made of aragonite, a calcium mineral that is found in the shells of mollusks and various corals. What makes this structure most intriguing is the number of adaptations it provides. For each layer has its own special effectiveness when dealing with potential threats. The middle organic layer appears to absorb the mechanical strain and energy generated by a squeezing attack (as by the claws of a crab), making the shell much tougher. The organic layer also acts to dissipate heat. 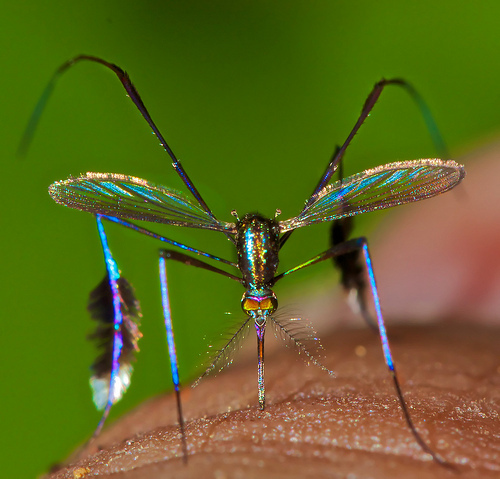 As if this creature couldn’t get any cooler, it’s also the inspiration for new military technology. 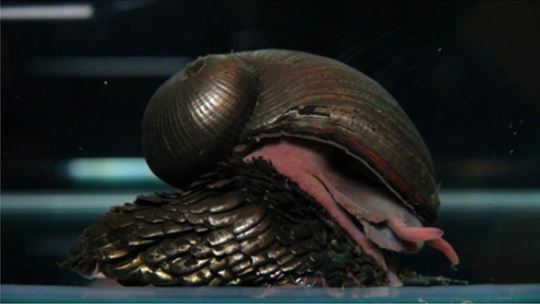 For example, the United States military is currently funding research on the armor of the snail in hopes of developing insights into new military armor designs. Ten-hut! 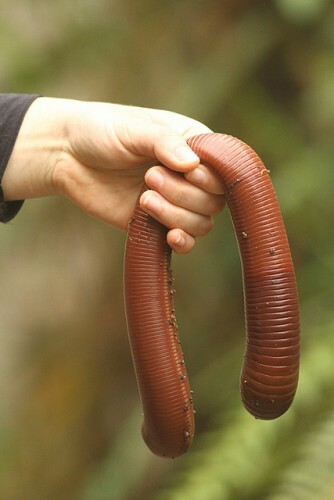 Hide Yo Kids, Hide Yo Wife, There’s Giant Earthworms Out There!